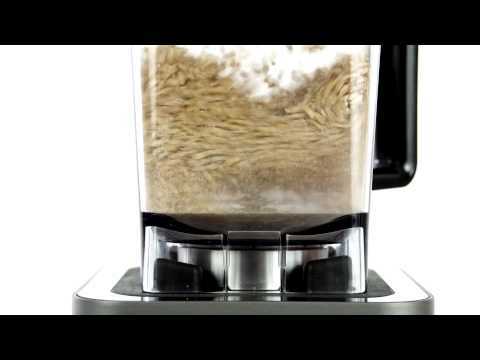 The Bianco Diver is a blender with fantastic design and functionality. You will be able to choose one of six modes or adjust the preparation of your meals using the manual mode through the touch display. The Bianco Diver mixer can be set to work at up to 32,000 revolutions per minute depending on the foods' size and hardness. Automatic or Manual 6 automatic programmes make using it easier. Runtime and speed can be adjusted by the user in manual mode for individual use. 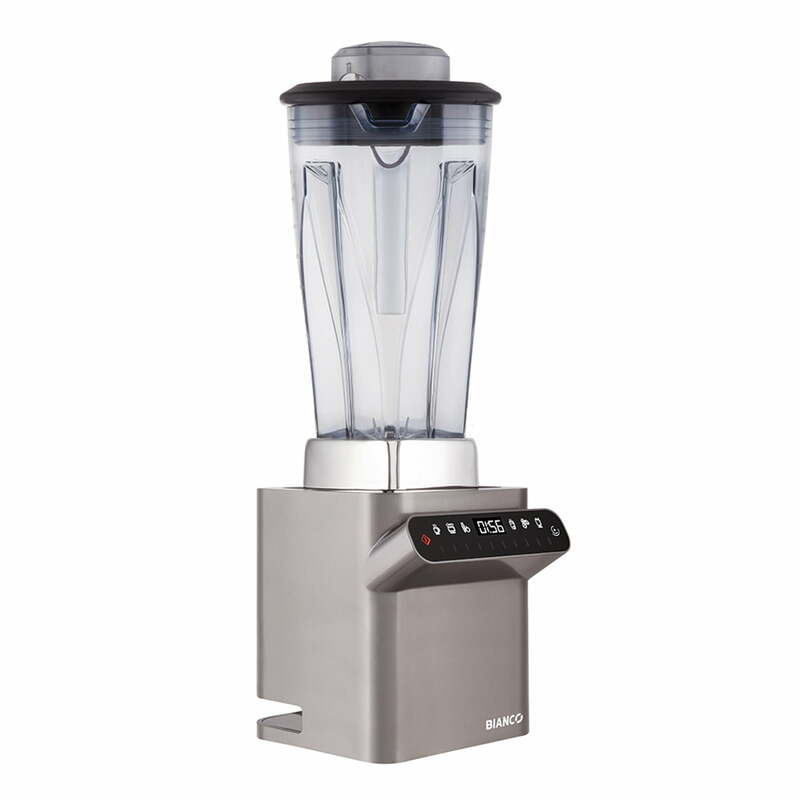 In addition, the Diver blender comes with six automatic programmes, which make it even easier to prepare food. Furthermore, you can use the manual mode to select from ten different speeds and adjust the mixer while in operation. Temperature Display An additional highlight is the patented Bianco T42L masher, which you can use to see mixture temperature while mixing. Ideal for raw soups and other recipes. 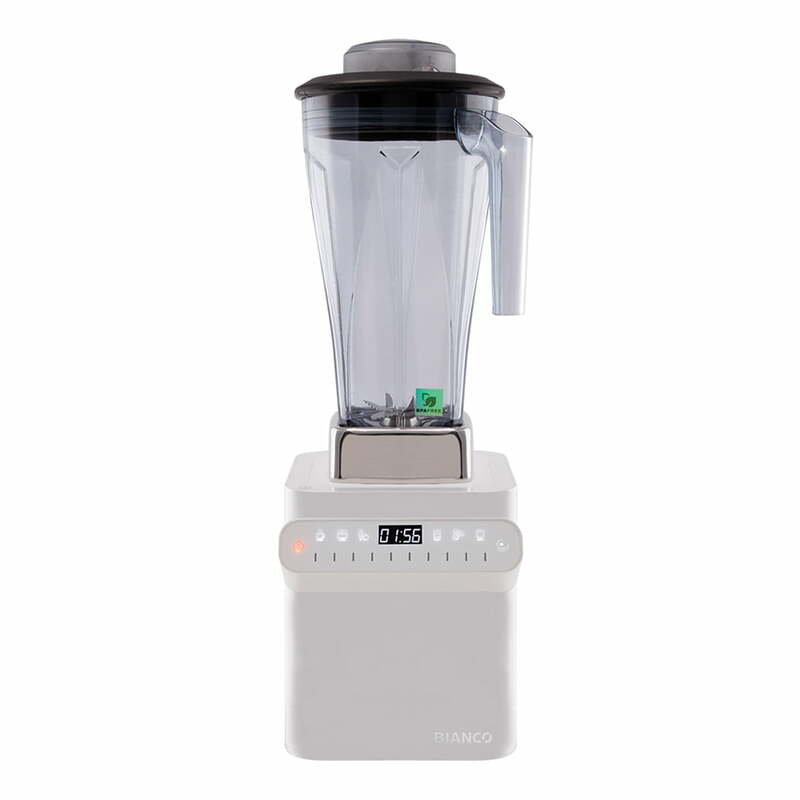 With the Bianco Diver, not only can you make smoothies and juices, but also soups, dips and sauces: the many programme settings make it child’s play to prepare these yourself. If it is stressed with too solid food and too few liquids, the mixer should cool down for about 45 minutes in a well ventilated place, after that the mixer can be used again as normal. Overload Protection The motor coupling is equipped with a predetermined breaking point. This protects the motor if the blades in the blender cannot turn because of a blockage (e.g. forgotten objects such as spoons). The coupling can be exchanged if it breaks. Sensor The mixing jug sensor detects when it’s not correctly set up. Should the mixing jug not sit correctly on the motor, it is impossible to switch on the mixer. The risk of the Bianco Diver mixer being damaged by incorrect use is thus eliminated. Bianco di Puro presents its powerful Diver blender. Here you can admire the modern kitchen tool from all possible perspectives and see for yourself how it easily overcomes every challenge.